for beautiful and healthy-looking skin. Through our research, we have achieved dramatic breakthroughs, especially in improving the efficacy of skincare products by creating this deeply moisturizing lotion that enhances the condition of vital skin cell layers. These layers serve as a pathway for the benefits of skincare products. When the rich moisture from QuSome Lotion absorbs deeply into skin cell layers, it stays there for an extended period of time, delivering continuous, beneficial effects. Additionally, the synergistic benefits when used with complementary b.glen skincare, significantly enhancing overall skincare results. Helps to activate your skin’s natural ability to strengthen elasticity from the inside. Similar to our skin serum, rich components help plump and condition vital skin cells. The nutrients that are delivered stay in the cell layer to densely moisturize and exert their effects against various signs of aging. This helps create smooth skin with an inherent barrier function to lock in hydration. The smooth texture is able to penetrate deeper for long-lasting hydration, promoting soft, supple skin. Upon contact with skin, the smooth, light texture spreads across your skin and easily absorbs into vital cell layers, locking in moisture for long periods of time. With prolonged use of QuSome Lotion, the more supple skin becomes, even on the roughest, driest skin. Lock in hydration, keep these crucial components in your skin to achieve and maintain an ideal complexion and soft-as-silk skin. Maintains moisture for hours so skin remains hydrated. Helps nourish and brighten skin to diminish appearance of spots and freckles. Creates more supple skin that can aid in appearance of sagging. 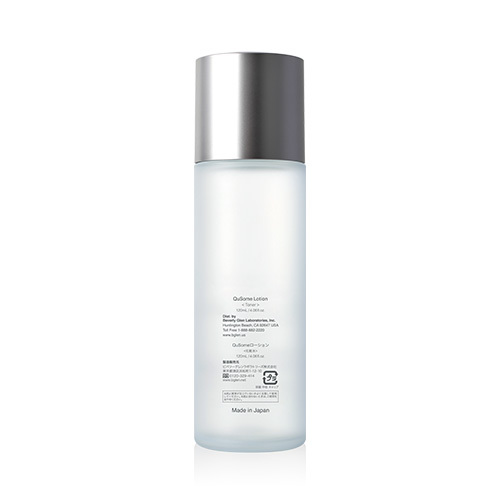 Gently hydrates to promote smoother skin and diminish appearance of enlarged pores. Helps even skin tone to reduce appearance of discoloration. Promotes lustrous, vibrant, youthful-looking skin. Comprised of rich minerals and moisturizing ingredients, to help build a healthy barrier function. Place about 3 cm diameter of QuSome Lotion into the palm of hand. After lightly rubbing Lotion into both hands, spread over entire face, gently pressing into skin. In delicate areas of the face such as around eyes, mouth, and nose, gently press and massage Lotion into skin using middle and ring fingers. Finally, wrap face with hands by placing palms of each hand over entire face until the palms sticks to the skin. Then gently press Lotion into face. Q1 Is Charged QuSome® more effective than the your conventional QuSome® ? Both are excellent in penetration and effectiveness, but how they approach the target differs. Charged QuSome® can disperse ingredients throughout outermost layers of the skin more quickly when compared with our regular QuSome®, which delivers ingredients to the deep into the back of the skin. It also has the superior effect that maintains the ingredients for a prolonged time around the stratum corneum (skin's outermost layers). Since we have selected and incorporated the most optimal penetration technology for the product, both are more than highly effective in creating beautiful skin. Q2 Can I use it on acne skin? QuSome Lotion can be used for all skin types, but if acne is on the skin, please clear up acne first by using our Clay Lotion, which prevents acne and provides the skin with enough moisture. When acne has cleared, please then start using our QuSome Lotion, which is recommended for skin with various troubles such as spots and dullness, wrinkle, sagging, pores and dryness. Q3 Can it be used on sensitive skin? QuSome Lotion is a superior multitasking lotion that quickly disperses moisture within the skin while it calms and balances. As a result, it prevents skin irritation and restores skin to where it can easily fight against future troubles accruing. Because various reactions may occur on the skin due to many factors such as skin condition, physical condition, seasons, stress, we recommend conducting a patch test on an area of the skin, such as the inner arm, before using new cosmetics and skincare products. Q4 I am concerned about both spots and wrinkles. Should I treat them with QuSome Lotion? In order to carefully deal with various troubles, it's essential to balance and prepare the environment of the stratum corneum(skin's outermost layer), which is the conception of QuSome Lotion. Even if dark spots begin to show as a first sign of aging, wrinkles and other issues are also created at the same time in the depths of your skin. QuSome Lotion is an advanced multi-functional lotion, which comprehensively works to prevent various skin conditions from occurring that are not visible now (dark spots, wrinkles, dryness, pores etc.). Q5 Can I use it as a substitute for 10-YB Lotion and QuSome White Lotion, which were previously sold before? 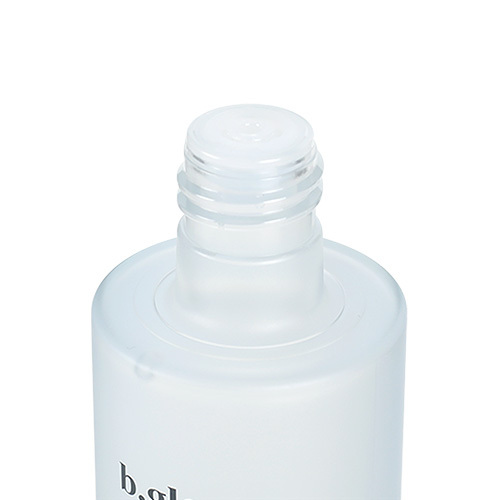 10-YB Lotion is an advanced lotion that responds to the troubles of aging skin and is ideal for moisturizing. QuSome White Lotion is a lotion that provides a sense of transparency to the skin by bringing out a bright, non-blemished skin. QuSome Lotion was developed as a multi-functional lotion that can simultaneously carry out all these tasks.